In every culture, there is some element, which is most noticeable and unwittingly becomes the symbol of national culture. 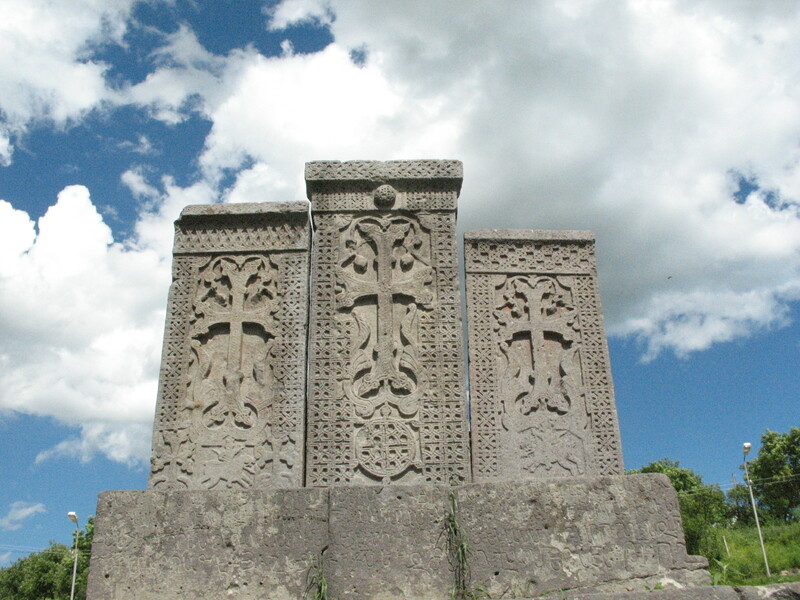 In Armenia, such a symbol is khachkar, so called cross-stone, a cross-bearing carved memorial stele covered with rosettes and botanical motifs. 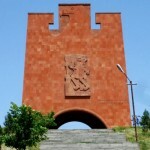 In general, the word is not translated and it is typical monument of Armenian descent; only Armenians have khachkar in the whole world. 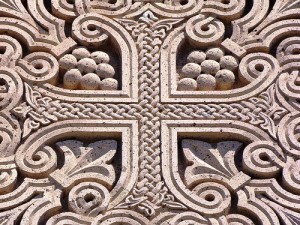 The word “khachkar” is formed from two Armenian roots: khach – cross and kar – stone. 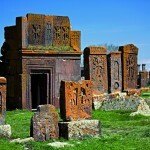 You can see them everywhere, but the most common location for a khachkar is in a graveyard. Throughout the territory of Armenia approximately 10 thousand khachkars have remained. The ornament of each one is different while retaining the same style. The great architect Momik is the designer of some of the most intricate known khachkars. 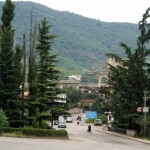 Noratus is about 35 km from the town of Sevan. It is the oldest village in Gegharkunik Province and is famous for its cemetery, which, after the destruction of the khachkars of Julfa, is the largest medieval Armenian cemetery with its almost thousand carved headstones. The thousand headstones of the cemetery date back to the 9th and 17th century, and thus they embrace the complete history of khachkars from the simplest rustic carvings to the masterpieces with infinite tracery from their golden age in the 13th and 14th century. One has the feeling of visiting an open-air museum. Khachkars were continuously carved in Noratus since the time when King Ashot I, who unified Armenia after the Arabic invasion, erected in 879 the first khachkar in memory of his wife.